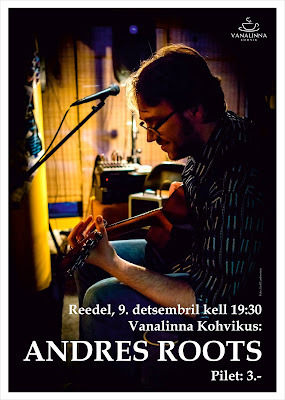 Andres Roots Roundabout: Paide 9.12! The Bottleneck Trendsetters Tour was a blast: 5 concerts in 5 towns and 5 days, 3 countries and 1300 kilometres... Photos and video will come soon. Meanwhile, Mr. 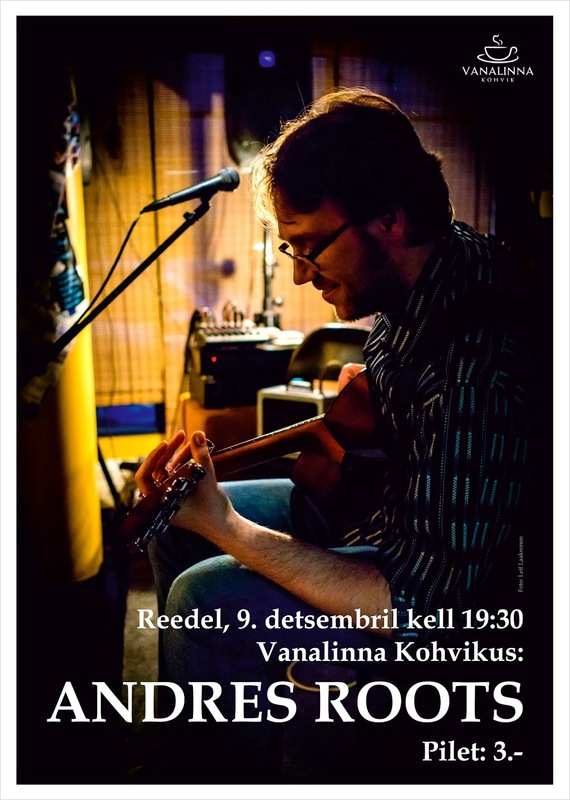 Roots' next public appearance will be Vanalinna Kohvik in Paide, Estonia on Friday, December 9th.